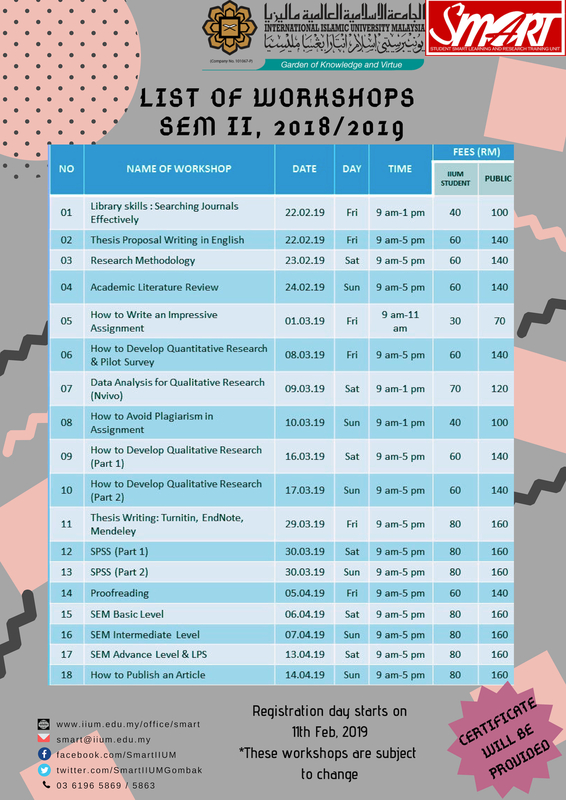 SLEU will conduct 26 workshops for semester 1, 2016/2017. 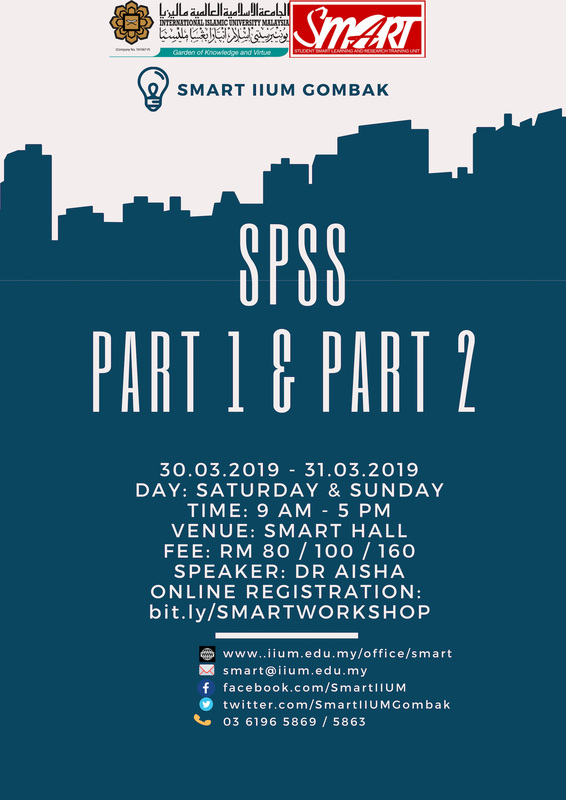 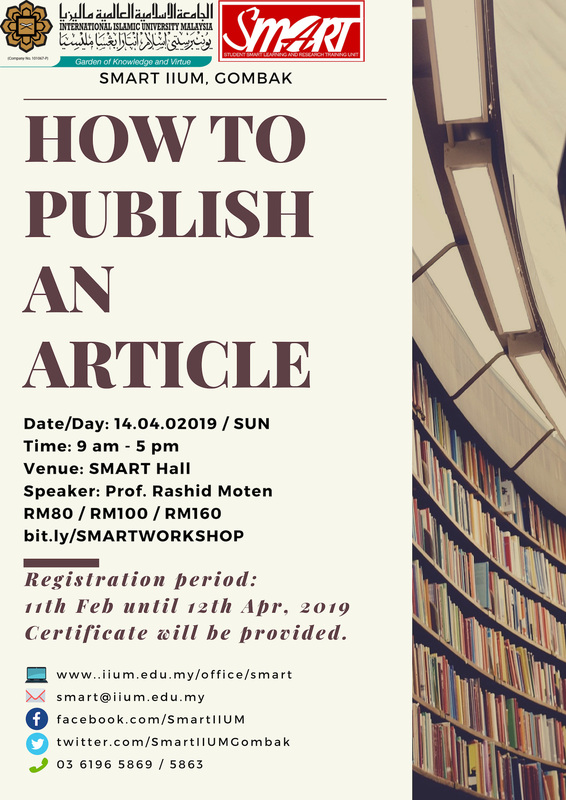 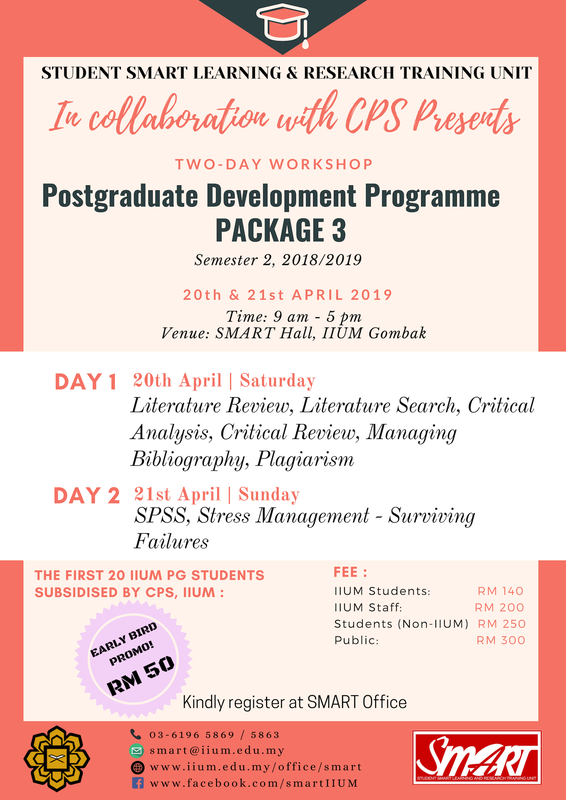 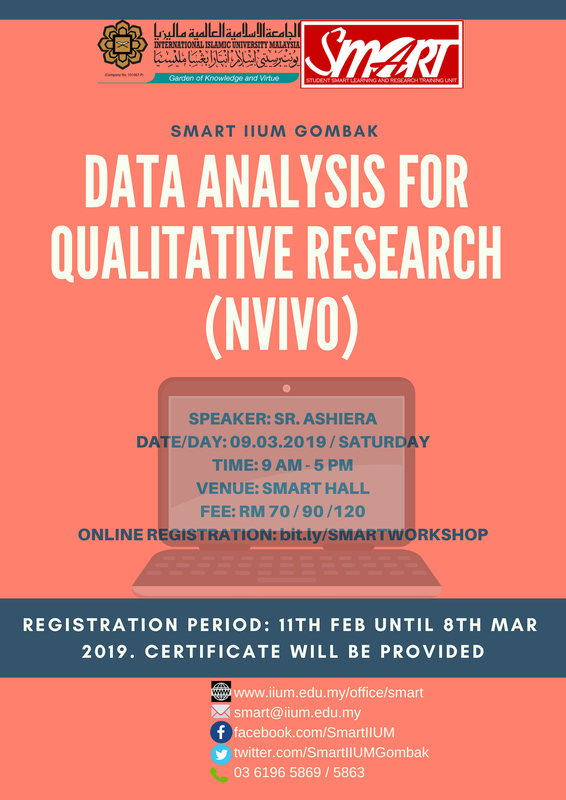 Among the workshops conducted are Strategies for Taking Notes & Mind Mapping, Research Methodology, Thesis Proposal Writing in English, SPSS Data Analysis, How to Avoid Plagiarism, How to Publish an Article and many more. 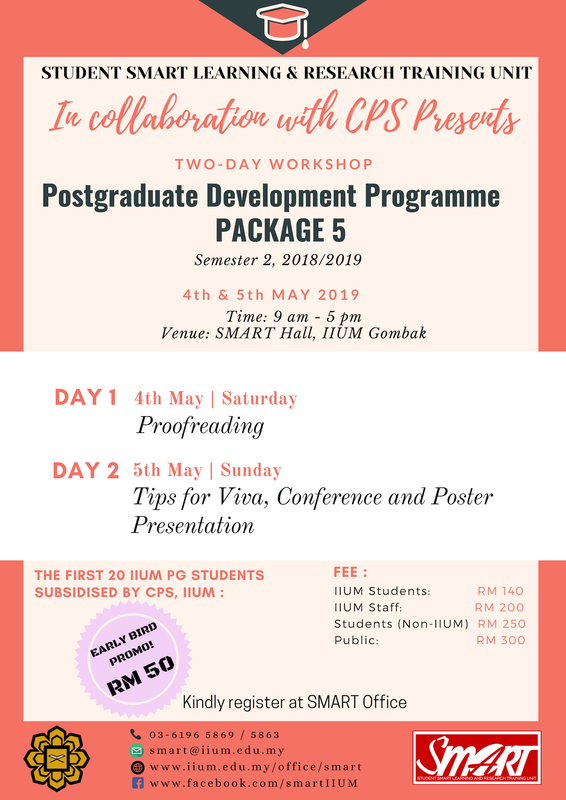 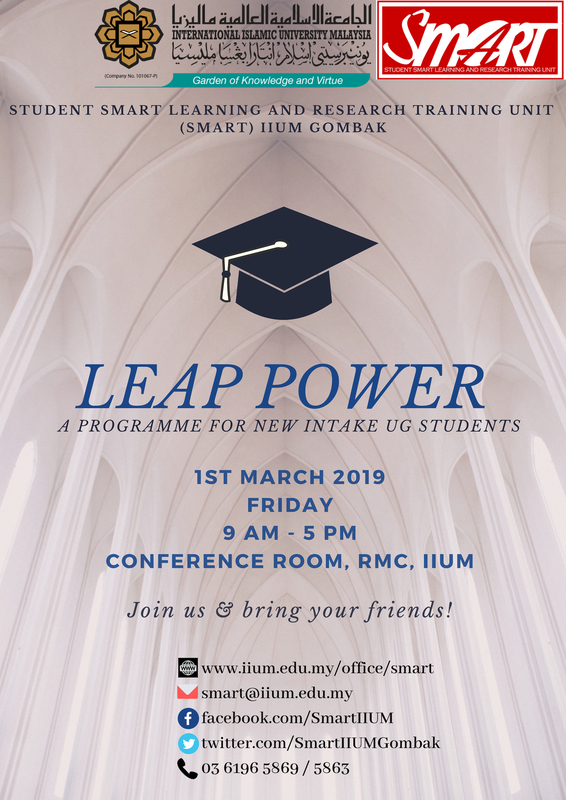 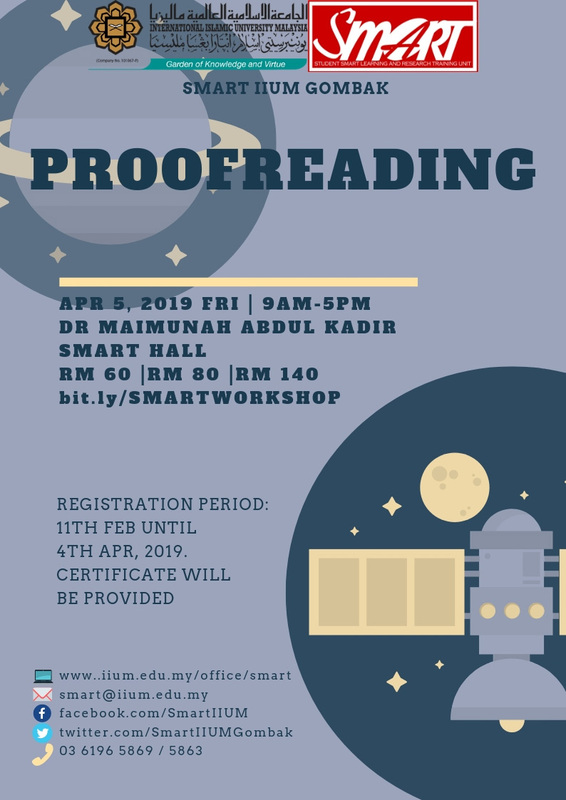 Do not miss the opportunity because these workshops surely will enhance the skills and knowledge that are required for students to Graduate on Time. 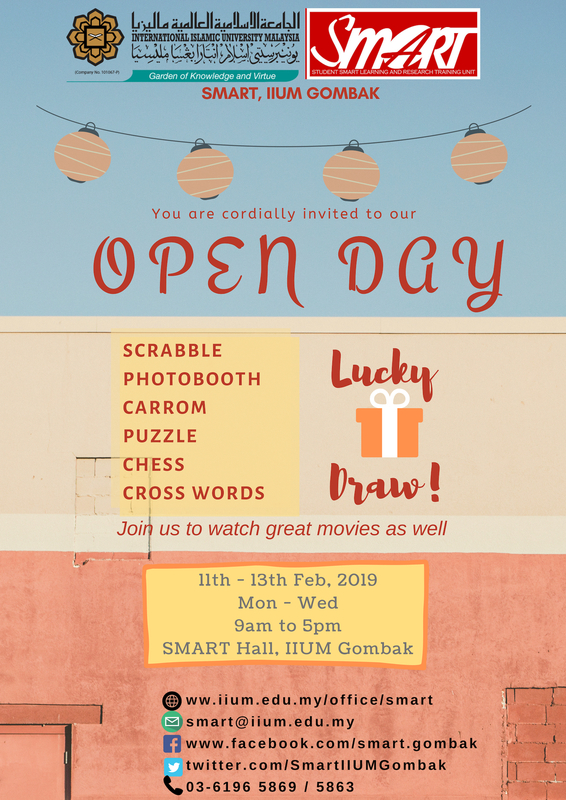 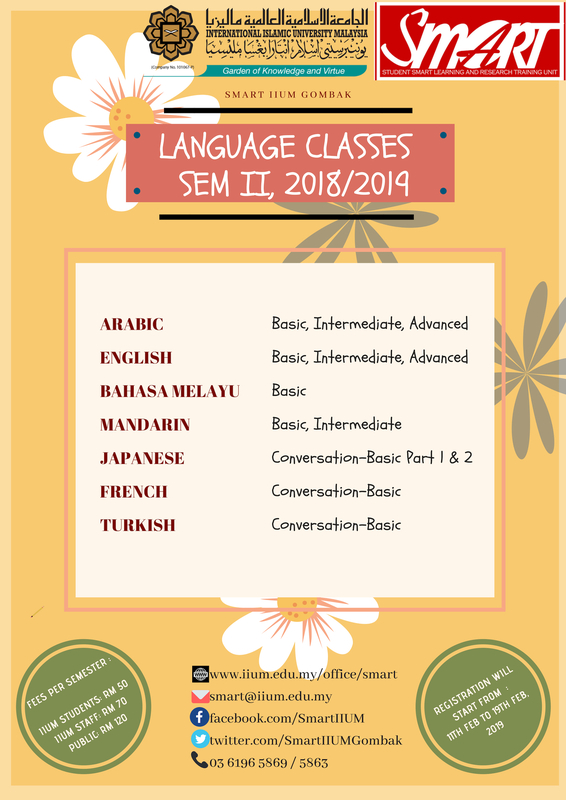 Please visit SLEU Office for details information.